Creative Worlds - It's a cartoon, it doesn't have to make any sense. Me: I think that it's safe to agree that High School years are some of the most awkward. Nevermind the fact that it's 80% percent superficial and only 20% educational (in our case, a 99 to 1 percent ratio), but its true that during those years you act differently, whether you show it physically or use an outlet like, oh I don't know, comics? Jared: I have to fully agree with Patrick on this one, I mean seriously we are completely different now then we were then. Our comics were shaped by many of the things that were going on at the time. Me: Alternate Universe is a joint series from both Jared and I, even though I pretty much own about 90% of it (what's with the percentages?). Needless to say, it was a series that was done during high school, since for the most part we had the same classes throughout and such. Jared: The main reason why Kine owns so much is because I never had any where to keep them and well he could draw far better than I ever could. So there are reasons behind it. Me: Also during this time, I was contining pretty much every other series I had, but Alternate Universe seemed to take the center stage for a while. 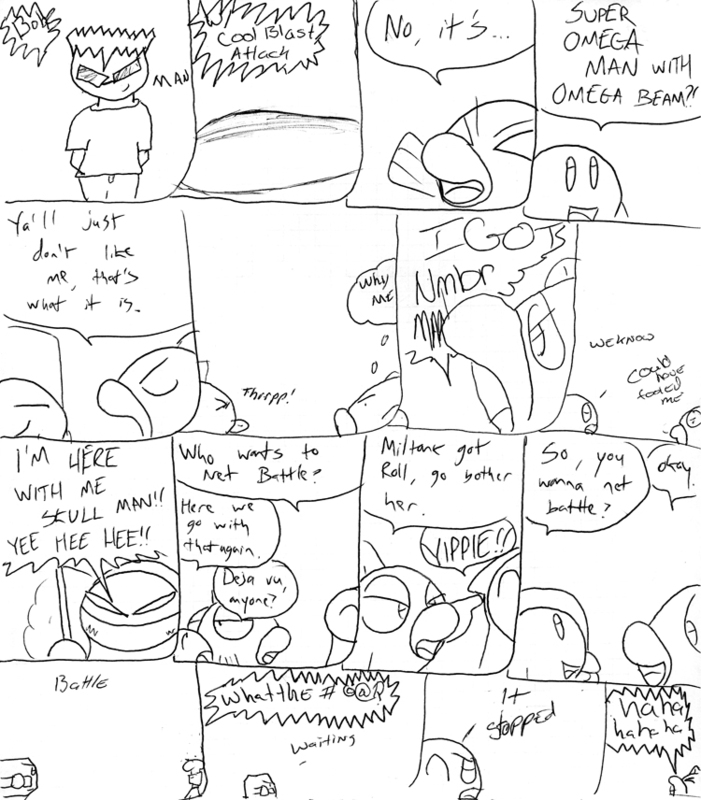 It became pretty much a series of injokes and such, and a lot of people who tried to read them (as compared to my regular Kirby comics) could never quite understand them. That added to the fun, of course. Jared: This alone made the series well worth writing. Nothing like flat out insulting a person and having them read it and not understand what is going on. Though there were far more injokes than just than people we knew in real life. At the time I think I was pretty upset with how Rainbow Resorts Message Boards were going. So there was quite a bit of jokes there. Me: So with that, read on and you'll learn what the heck AU was all about. In high school, I always used to draw comics in my classes. Actually, that never really changed as I did the same thing in college. The point is, I was one of those smart(er) but unmotivated kids who couldn't give less of a crap, but instead of being disruptive or destructive in class, I just did my assignments and drew the rest of the time. Almost all of my series really got pretty far thanks to school giving me the free time to draw them. Around this time, Pokemon Gold and Silver came out, and Jared and I were excited to get it. Wouldn't be long before I started documenting our progress in comic form. These were just mere doodles. I had no idea I'd continue with this concept. I used Kine to represent myself and Blade Knight inc to represent Jared, since those were our online aliases. 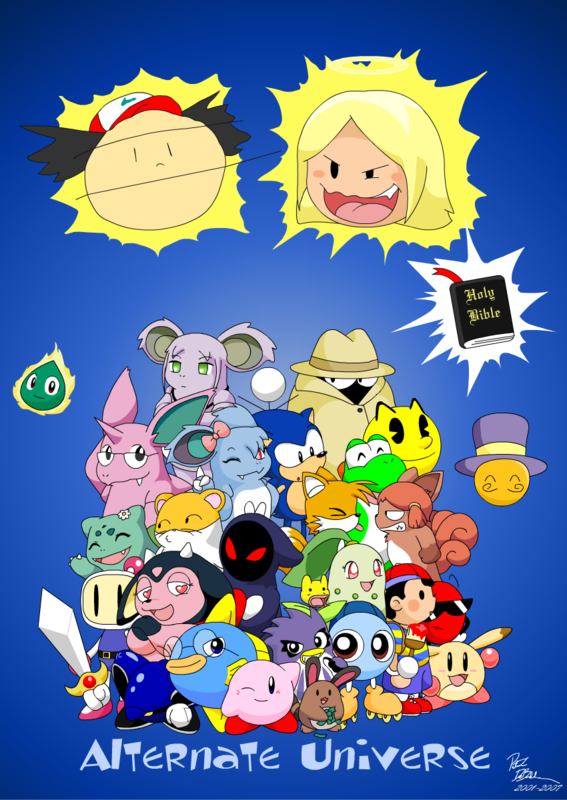 Eventually, other Kirby characters would play around with Pokemon of the first and second generations, leading to more stories. Then, I'd start using our personas to document our escapades from online experiences. Then I'd start introducing other franchises, slowly but surely, into the series as information on them became relevant. With the initial hodgepodge of an overwheming cast of Kirby and Pokemon characters, somehow I derived "Poppistar" out of that, I guess it was to add an extra syllable to Pop Star like "Po-ke" in Pokemon is two syllables. Pokestar Universe, in retrospect, would've made more sense. 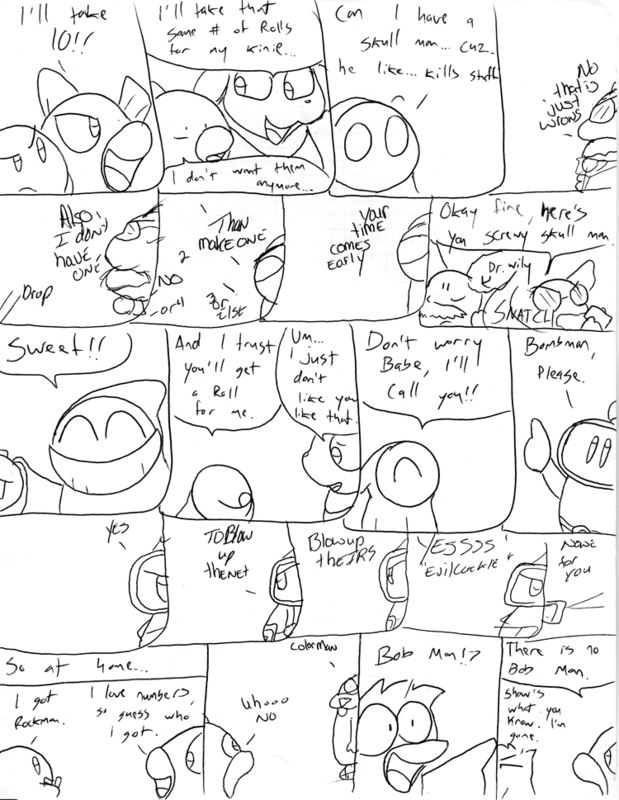 Nevertheless, the series became known as Poppistar Universe, an alternate series using familiar characters that would allow me to make stories and events that would safetly leave each respective character's universe intact. In otherwords, everything in Pop-Uni is not canon outside of Pop-Uni. However, I did bring in some elements from the other series, mostly Kirby, as the Kirby world was no different than what was established in Kirby's Adventures. In the beginning, the series mostly focused on online experiences, real life experiences, timely news (such as the 9/11 event in New York), Pokemon battles and our disappointment with Pokemon G/S. In fact, because at the time the second generation was so radically different (and a lot more serious than the original games, something each further iteration would keep taking a step further for some reason), we'd use the effects in the series and call it the G/S disease. Essentially, Pokemon affected by the G/S disease became too literal and no fun anymore (or in some cases, stopped making sense altogether). Sounds like the current Pokemon franchise has been affected by the G/S disease to me, but that's really neither here nor there. At any rate, from that point on, I started to develop the characters who were new to the series, as well as already established characters to fit into this hodge-podge. So more self contained stories started to occur. I began to use more an more outside franchises, and the Pokemon aspect was no longer all that important. In the long run, after a couple of years hiatus, I renamed the series Alternate Universe, as by this point the series was more than just Pokemon + Kirby. Overall, I'd say there's no real rhyme or reason to the series. There's no central plot, I'm not building up to anything, and status quo is the only law the series has. It's existance is not so much for story telling, it's just a mere outlet for creativity or personal thoughts. Because of this, I always thought the series would pretty much end after high school. And it's not as though I was super attached to any of the characters, either. 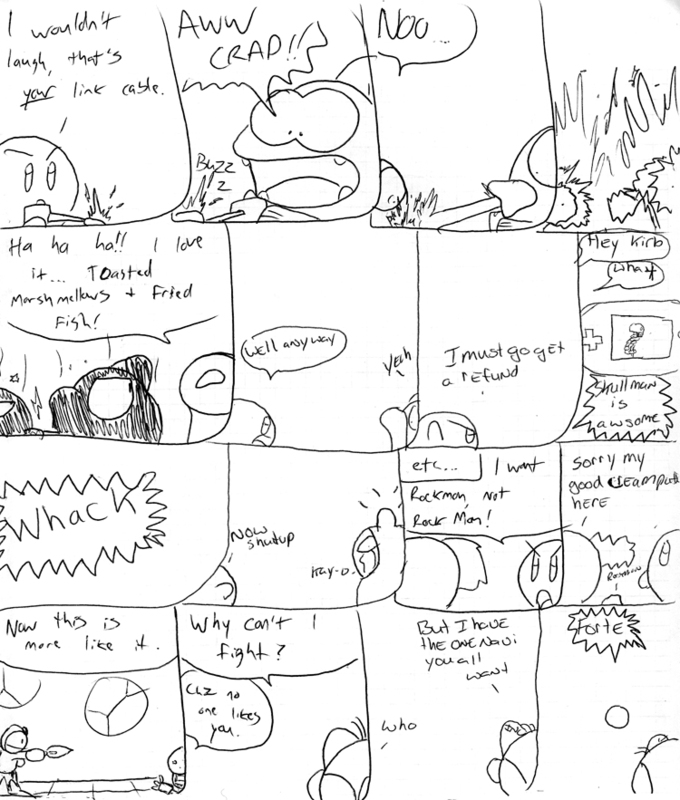 But in more recent time, after having introduced this series to Creative Worlds previously and Aqua Bunny later, the series seems to have gained some attention, which is weird considering the only two people who really understand it is Jared and I. But, in light of positive response, I've sort of picked up the series again. Not in a real gung-ho I'm going to continue this sort of way. But seeing as others can appreciate the series, even if they don't quite get all of it, it gives me a reason to bring more to the table, or at the least remake a few comics. Plus, there are a few interesting character dynamics no other series has, so these days I tend to only make self contained stories, as I would simply write about anything else that has to do with current events, if that. As a whole, Alternate Universe doesn't make a lot of sense, and some things only came to be from a running gag we had in the past (such as Almighty Ash Head, who exists because I was too lazy to draw his whole body, let alone accurately, and came from the idea that Ash possesses super human abilities in the show somehow, forcing us to believe he's either some kind of mutant or some kind of god figure). It's really hard to explain all the characters, there's so many of them and not enough interest in either you or I to spend writing about all of them. 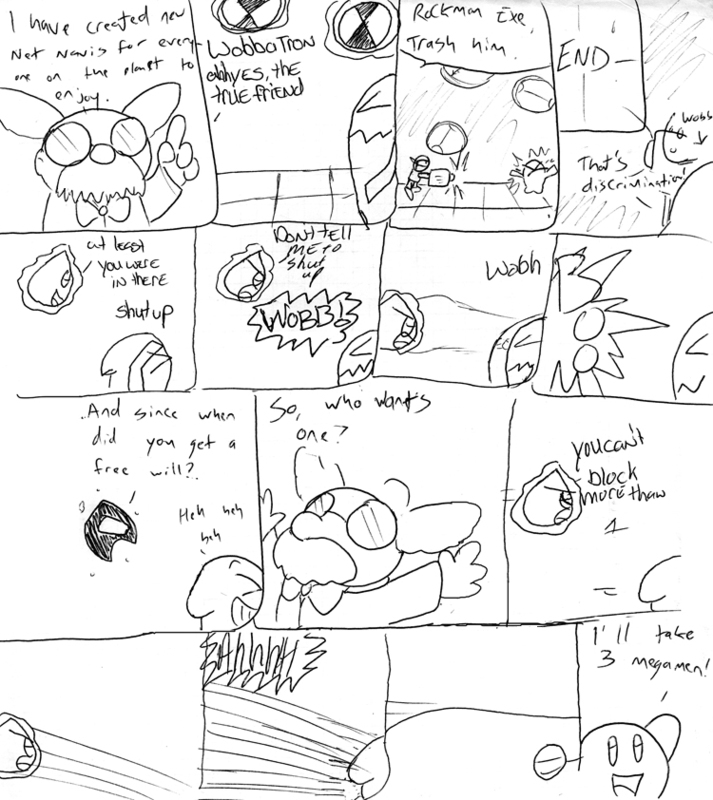 Fortunately, you can read scans of the original comics here on this site, along with some remakes on Aqua Bunny and a few character bios there as well. Between all these, you'll eventually feel your way around the series and understand it a little better. Probably helps to start with the remakes, though. So, yeah. That's Alternate Universe. It's was fun time well spent during high school, and it's nice to revisit the series from time to time today. Have fun with that. During it's prime, Alternate Universe was a really popular series. Of course, by popular, I only mean between two people unlike my other more widely known series, but sometimes all it takes is just one extra person to really be into and involved with something you're doing to rule out everything else. So, during that time, I made a couple of fan games based on AU. No, these aren't available for play. And you wouldn't want to. However, Aerial Assault in the Archive's Interactive section is kind of based on AU and is a much better experience than any of these. 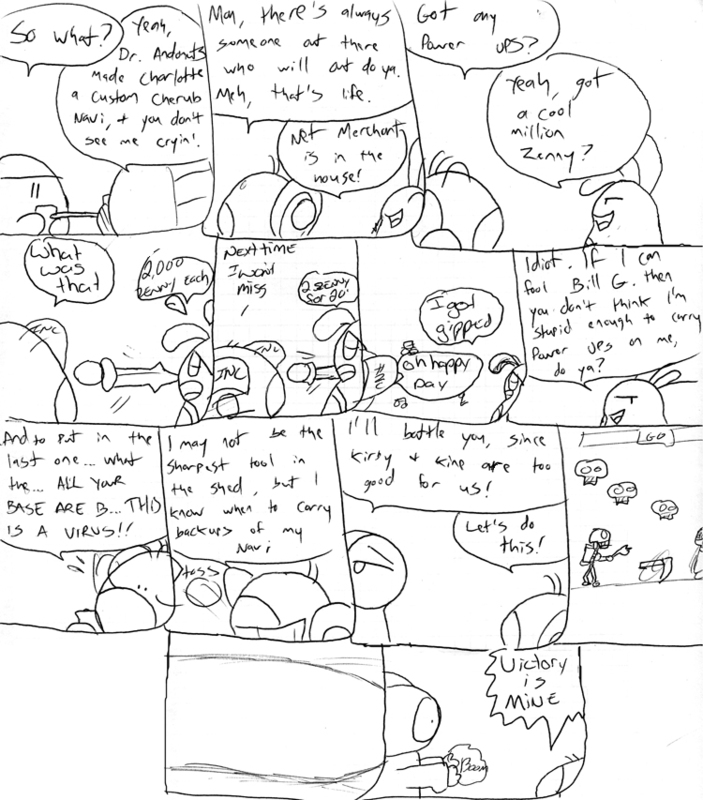 The first of these is Wing Blade Knight inc Zero's Adventures, or WBKiZA. It was a game based on a comic short, much like the Peanuts cartoon shorts are just animated versions of strips. It was made to be intentionally bad and repetitive, just for laughs. It is very "Hold right to win", up until the last level. The cutscenes are generally sarcastic as well. The boss battles are semi interesting, and kind of cheap because of poor collision detection. Still, in the long run this game is not worth mentioning. I only did because it was probably the first fan game I ever made. The Second and last Pop-Uni game I made during those days was a game known as Pop Star Peril. All you need to know is that it's a Mega Man knock off. And for a platformer, the game is glitchy as all get out, and ultra cheap. It's beatable, but almost unbearably so after a while. I'm the only one who ever beat it, and even I can't stand it. I dunno, if I find the game I could make a video of the gameplay, but I really don't want to bother. There were supposed to be more in the series, going up to 5 with each game progressing in graphics and sound, but after this trainwreck I decided "f' this s'" and ditched it (no, I never actually said such a thing). Original transcript of the AU series information featuring commentary from both Jared and I. Example of one of a few joint comics that we both worked on.